Mr. Jones made these for us! 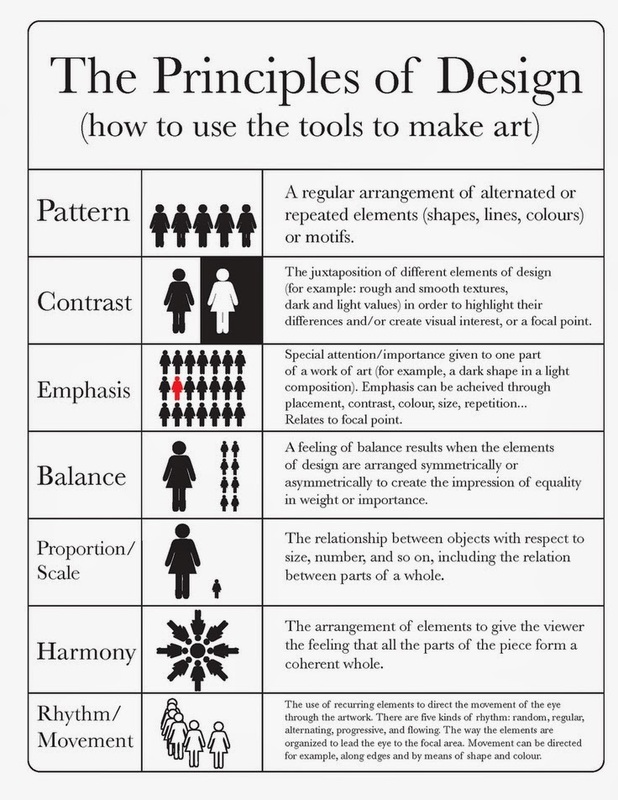 For this afternoon's art lesson, be sure to learn about the elements of art and the principles of design before you start on your paper fish. Mrs. B. will teach you about them. Incorporate as many different elements/principles as possible onto your blank fish templates. Mrs. B may show you the videos on the AppleTv. However, she may have you watch them independently. Either way, you must watch them both and review the useful links. You will be quizzed on these next week. 2.) MATH 6/7: Any assigned work. Everything on your review sheets is fair game. Be sure you can clearly explain each of the vocabulary items. Be sure you understand the Particle Model of Matter. Review all posts from the past few weeks and the videos that were included. 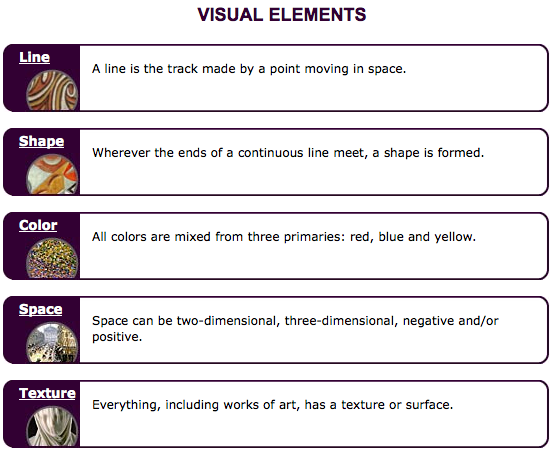 Which elements and principles of art and design did you use on your fish today? Explain which ones you used and how you used them. Rematch the videos and read the useful links if you need help. Comment on at least one other student's response. Today, the students went on an ice skating field trip and had an opportunity to socialize with Ms. Wilson's class. This is the first of many different school activities they will be doing with the other classes. Parents, your child will be writing their first Science test this Friday. Please ask them questions about what they have learned and help ensure they are studying for the test. They have been reviewing all week and all students should do well on the test. Continue reviewing for Friday's test. The unit test will be on Friday! Make sure you can explain all you vocabulary items from your review sheets. All worksheets should be completed for tomorrow so if you have any questions, they can be answered in class. Like you did yesterday, choose another one of your passions and write a paragraph about it. It should have between 5-10 sentences. 1.) HOOK - A catchy intro sentence to introduce your second passion. support your passion, add one more example. leaves your reader wanting to learn more about it. You must click below and use different transition words when introducing your examples in your supporting sentences. Don't always use, "For example....." If you have any questions, post them here. Give at least 1 other student some ﻿specific﻿ suggestions on how to improve their work. Edit/revise your post after receiving feedback. You can always ask a sibling or a parent if your classmate does not give you any. Daily blurb to be updated. 2.) LA: Any assigned work. Continue reviewing and preparing for Friday's test. Watch and study all the video links at the bottom of today's post! Write a paragraph about your most important passion using the structure you learned about in class today! (Topic sentence, supporting sentences - examples, statistics, quotes, and a concluding sentence). Don't forget to watch your spelling, grammar, punctuation, vocabulary, etc. Give a comment/suggestion to at least one other student. Edit/revise your original post. Keep in mind I am keeping track of who completes the daily posts. - It is very important that you understand and study these videos. It will all be on the test on Friday!!! Today, the students reviewed what they have learned in Science and Math since the beginning of the school year. They will be assessed on what they have learned in both academic areas this week. Their first math unit test will be tomorrow and their unit test for Science will be on Thursday or Friday. The students have already been assessed informally through individual conferencing and conversations. They are eager to show their families what they have learned so far! Complete the review questions from the textbook. We will go over your questions before tomorrow's test. MATH 7: Unit test tomorrow. Complete any assigned work. Complete all review questions from the handout. We will review any questions you have tomorrow in class. If you don't have your textbook, be sure to provide the link to the website you used to obtain your information about the particle model of matter. 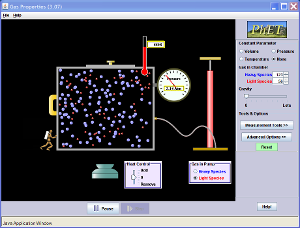 See if you can figure out how to use the programs below to learn more about the different states of matter. They will help you review for Thursday/Friday's test! They are super cool! Today was an interesting day at Hillcrest! The students participated in the Global Read Aloud and continued reading 'One for the Murphys'. The students have been building on their reading strategies by following along with the ebook that has been airplay to the projector onto the screen. We have been learning about different reading strategies that the students will be using more intensely in the next few months. These include setting a purpose, using background knowledge to make connects, monitoring comprehension, checking for understanding, visualizing, and making inferences. The students are all familiar with these strategies as they have been learning about them for several years now. We will dive deeper into all of them in this school year. Your unit test will be on Tuesday. Watch this video. It will help you with your order of operations worksheets you were given on Thursday. Please ignore the exponents section of the order of operations. You will not be given any questions with exponents. Review questions (Handout). I assume that you received this on Thursday from the substitute teacher. Your unit test will be on Friday and will cover everything you have learned so far this year. Start reviewing what you have learned! Watch this video and try it at home! Ask your parents if they know why the eggs are all at different levels! Then, explain the science behind it to your parents! Take pictures/video of your experiment! Sentence 1: Start with an interesting starter sentence (HOOK). will always be there for you, you can trust them, and they will always love you. point you mentioned in your second sentence. Final sentence: Give a concluding sentence that sums up your paragraph. Cool Steve Spangler Video: Float or Sink? Today, the students continued working on their learning reflections via YouTube. Students learned that to explain what they learned, they must be able to clearly articulate what they learned. Students must do this to clearly using their new knowledge. Otherwise, it is difficult to see if they learned anything. Students, if you feel your reflections need improvement, please feel free to go back to the YouTube video from yesterday and edit/revise your reflections! Remember, Mr. Hong will be assessing your reflections later this evening so be sure to include everything that you have learned. Complete the integers worksheet you received today. Watch this video on order of operations to prepare for tomorrow's class. MATH 7: Complete any assigned work. Complete your YouTube learning reflection if you haven't already done so. Remember to be specific about your observations (quantitative/qualitative) of each of the liquids you used in your towers! If you do not do this, you will not receive a good assessment. What is a physical change? Did you see a physical change in the activity? 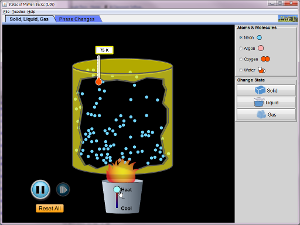 What is a chemical change? Did you see a chemical change in the activity? Comment on at least one other student's response tonight. Today, many students presented their passion projects (trailers) to the class and taught everyone about who they are and what they are all about! It was amazing to learn about all their hidden talents and how unique each student is. Some students do not realize how unique they are and what they have to offer their classmates. Click here to watch a video clip titled, "Obvious to me, Amazing to Others!" Grade 6 students, post a message here confirming you read today's planner message. 2.) SCIENCE: No HW. If you didn't complete the previous day's homework, be sure to complete it. Click here and visit our class YouTube channel. Watch this Science video that was uploaded today. 1.) What is the learning intention and did you achieve the outcome? 2.) What did you learn about liquids and the different densities? 3.) What happens to liquids of different densities when you layer them on top of each other? Why? 4.) What happens when you insert solids of different densities into the density tower? Why? 5.) What is your conclusion? 6.) What other questions do you have that could extend your thinking? 7.) Reply to some questions your classmates had and try to answer their extension questions. Today, the students created density tower bottles out of different liquids. These liquids included cornstarch, maple syrup, soap, water, oil, rubbing alcohol, and lamp oil. The students came up with many excellent inquiry questions which we will look at tomorrow. One student asked, "If we shake the bottle up, will the different liquids return to what it looked like originally?" Some students shook theirs up and will see what their bottles look like tomorrow morning! What do you think will happen based on your knowledge of density? Ask yourself, was their a physical change or chemical change? Pg 92 #1-6 and Chapter 3 Lesson 7 worksheet. Watch this video on 'Ordering Negative Integers'. Post your completed trailer here. Watch at least two other passion trailers. Watch more if you like. Reply to someone's trailer post and give them at least 2 things to improve on based on the criteria sheet. YOU MUST BE SPECIFIC. If you don't have your criteria sheet, simply go to last Thursday's post and download one. Give suggestions to students who haven't received any feedback. Ask for feedback if you haven't received any. Take those suggestions and make some final edits. Remember, as discussed in class you should not simply tell us what is in your picture. Use powerful words and adjectives. It does not necessarily have to be in sentence format. If anything is unclear, post your questions here. Today, the students supported cancer research by participating in the Terry Fox Run. Students ran 2.30km around the neighbourhood to support those living and affected with cancer. Click here to read more about Terry fox, what he has done for cancer research, and to donate to the cause! Click here to watch his documentary! Also, today we had a chance to work with our Mrs. Nowotny's class! The grade 6/7 students taught their little buddies about the importance of following criteria, giving/receiving feedback, and editing and revising their work! In addition to this, they taught their little buddies how to blog online! Our little buddies will continue editing/revising their work in our next buddy class! Click here to see what they have done so far! 1.) MATH 6: Complete the textbook work. 2.) SCIENCE: Complete your two worksheets. Be sure to follow your criteria sheet closely. If you create a really good passion trailer, but you don't follow the criteria, you will not receive a good assessment. Don't forget to bring your clear/small/narrow container to school on Monday! We will be making density towers! Complete in paragraph form. Be sure to use capitals, proper grammar, spelling, sentence structure, transition words, etc. Why is it important to always follow criteria when completing assignments? Why is it important to give and receive feedback to others? Why is it important to always take the suggestions/feedback given to you to make improvements on your work? Remember, you must post your response, give suggestions for improvement to others, and edit and revise your original post after receiving feedback. Click here to read what your global buddies wrote! Introduce yourself by writing a self-introduction to them! Remember, don't tell them what city and country you are from. You can give hints (For example: Continent) but only hints. Ask at least 2 students from your global buddy class about themselves and where they are from. Try to ask questions about the landscape, proximity to the ocean, climate, continent, etc and try to figure out where they are from. Keep in mind that you should always pay attention to your spelling, grammar, sentence structure, vocabulary, etc. "Think before you click!" Today, Hillcrest welcomed Flyin' Bob to our school to perform for us. He talked to the students about following their dreams and to always do what they are passionate about. Because he is passionate about his job, he loves every minute of it. He told us about 3 local circus schools that teach people of all ages the different skills that we saw him perform today. Here is a link to one that is located in New Westminster. IMPORTANT INFO: The Terry Fox run will continue tomorrow unless it is a torrential downpour. 1.) MATH 6: Pg 89 Questions #2, 4, 5, and 7. Watch this video on using organized lists to solve problems. MATH 7 VAN: Any assigned work. Bring a narrow glass or plastic container with a lid. It must be CLEAR! A narrow olive container, pickle container, mason jar, etc will do just fine. Please find a clear jar that is as narrow as possible. Jars that are super wide will not work because our supplies are limited. Complete your Passion Trailer draft for tomorrow. Don't forget to follow your CRITERIA SHEET. If you forgot yours at school, click here. Click on at least one of the passion trailers below. Using your criteria sheet, comment on all items listed on the second page. Explain what was included and what was not included on one of the example trailers above. If you want a challenge, complete the post a response for two of the example trailers. Give specific comments/suggestions (according to the criteria sheet) on what one of the students can do to improve their passion trailers. Include any and all items they missed that are included on your passion trailer criteria sheet.